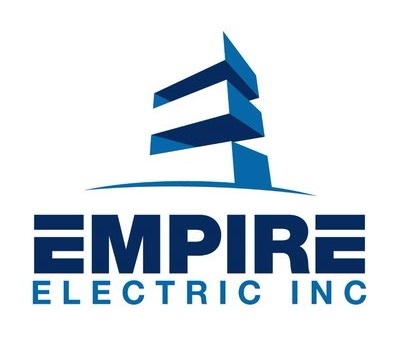 jacksonville electrician reviews - Empire Electric Inc.
Joseph Crill,homeowner I had Empire Electric do some small electrical projects at my house. I can say that they were above professional with their service. Thank you. I maintain two retail shopping centers in Jacksonville. Empire Electric performs all my parking lot lighting repairs. They are prompt and professional. They also do a courtesy site visit for me to help me maintain my compliance with my tenants. Empire Electric ran two dedicated circuits for two pieces of equipment. They were very professional, polite and respectful. They even cleaned up after themselves something I wish I could get my kids to do. I manage two commercial properties in Jacksonville. I am based out of Atlanta. I can rest assured if I need electrical work they will be the first to contact. I will continue to use them because they have always been there for me. Lucy Schneider,homeowner Empire Electric has always come through for me. They are very helpful. At the advice of my AC contractor, they recommended a service increase. I called Empire Electric and had the increase completed the next day. Harold Wells, Homeowner I contacted Empire Electric for a electrical problem I was having in my home. The technician (John) I believe found it within twenty minutes. I will definitely be calling Empire Electric for any future Electrical issues I need. They will be my go to electrical contractor. Excellent service. Electrician was on time, focused on the job at hand, and finished in a timely manner. Their price was fair and they even had a coupon on Yelp which was even better. I would definitely use them again and recommend them to anyone needing any electrical work done. I wanted some light fixtures switched out, and had a ceiling light that had been improperly installed by a prior owner. Based on Yelp reviews I called Empire, and I'm glad I did. The service was Great. Every person I spoke with and who came to my home was friendly and professional. They did the job very quickly, plus I used the Yelp coupon, so the price was more than fair. I will definitely be recommending Empire!! In my opinion, Empire Electric is one of the best electricians in Jacksonville. I have a comfort level that I typically do not have with subcontractors or service providers. They are available when needed and do what they say they will do when it comes to my commercial electrical projects. As a contractor myself, I know how challenging it is to schedule around emergency's but Empire Electric will definitely be my go to electrician.